The conversation coincides with Lagidze's exhibtion, Bach Exercises (19 November - 8 December), which marks the first time in over 20 years that this notoriously elusive artist has returned to London. The talk is followed by a reception with the Ambassador of Georgia to the UK, HE Tamar Beruchashvili. Lagidze (b. 1958, Georgia) is known for his highly structured and layered abstract paintings and philosophical approach to art. 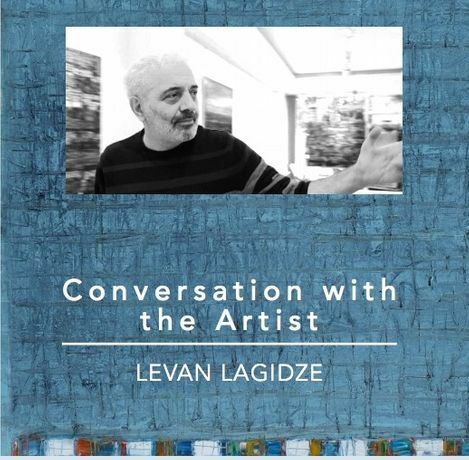 He is one of Georgia’s most prominent artists whose work is collected by national museums across the former USSR and in the US, including the iconic State Tretyakov Gallery in Moscow and the National Gallery in Tbilisi.